For the Muslims, Shab e Miraj is one of the most sacred nights. This night, the Prophet Muhammad PBUH was ascended to the Heavens. For this reason, Shab e Miraj is also called the Night of Ascent. 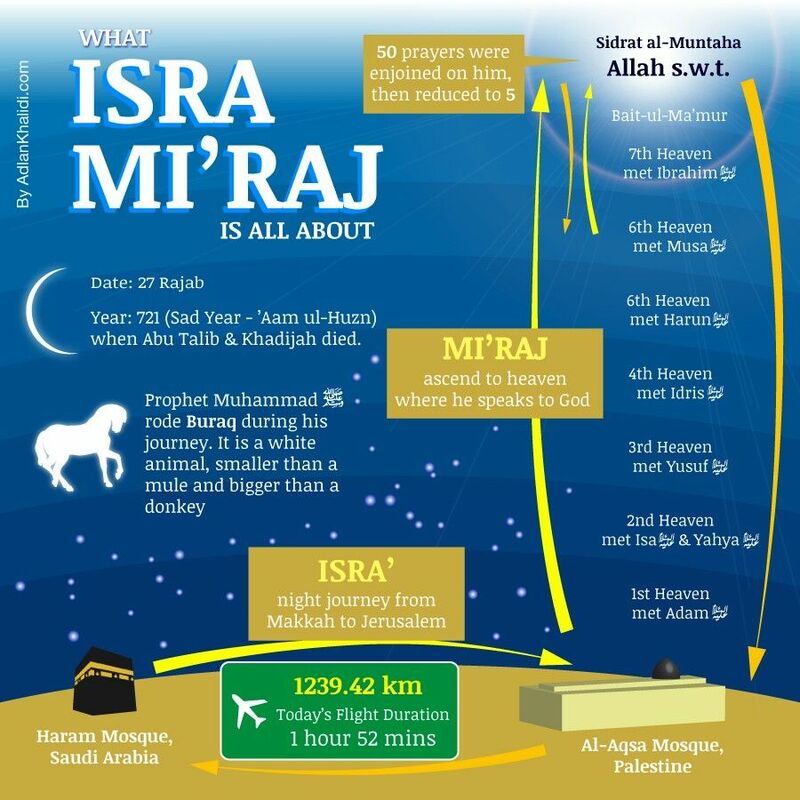 Various other reports have also used the term ‘Night of Journeys” Shab e Miraj because Holy Prophet PBUH traveled to the Heavens throughout the night and then came back. Move to any section of the post with the below list. When is Shab e Miraj 2019 Date? 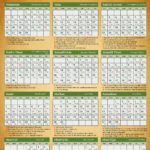 When it comes to Shab e Miraj date, 27 Rajab night of every year is observed as Shab e Miraj among the Muslims according to the Islamic calendar 2019 (also called Hijri Calendar). In the Gregorian calendar, the date changes every year. In 2019, the night of 3 April is Shab e Miraj or the Night of Ascent. This night, the Muslims will offer prayers, recite Holy Quran, offer Nawafil and spend the night while praying to ALLAH. It is believed anything requested in prayers this night is accepted. The Ibadat, prayers as well as recitation of the Quran, are the true essence of this night. Since the day Prophet went to the Heavens, this night has become of great significance for the Muslims. It was a moment of great joy for the companions of the Prophet. Since then, the Muslims spend this night while offering prayers and strengthen their bond with ALLAH. The scholars and Muslims leaders put great emphasize on Ibadat. There are a number of reports associated with Ibadat of this night. According to one report, any Muslim who spend Shab e Miraj while offering prayers will have a heart full of happiness and peace. One other report reveals people who spend Shab e Miraj in prayers will be honored on the Day of Judgement. 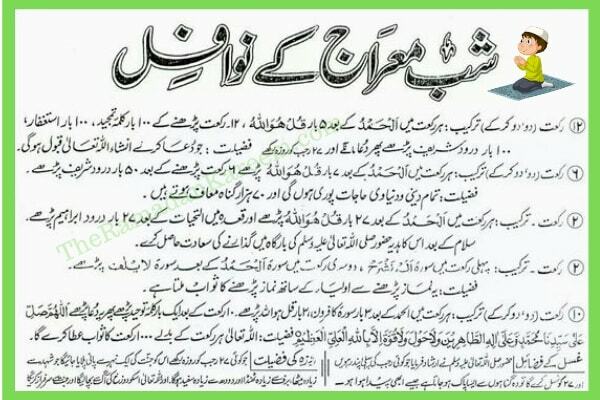 One quote of Hazrat Salman Farsi RA is mentioned here. According to him, the Prophet said that any Muslim who spends Shab e Miraj while doing prayers and reciting Quran will be honored with blessings of offering prayers of 100 years and fasting of 100 years. Without any doubt, it can be asserted that Muslims should do their best to offer prayers and spend the most of their time in mosques. You can also do Ibadat at home. But it is advised the night and morning prayers should be offered at mosques with other Muslims. In short, Ibadat during this night is the special thing for Muslims apart from the importance of the night. Shab e Miraj is a gift of Allah for the Muslims. It has been 14 centuries but the Muslims still celebrate this night of their Prophet. Nawafil in Islamic term is the special prayers in the form of Namaz. They are not obligatory but are recommended for the Muslims to offer whenever they have time. For this night, Nawafil becomes even more important and more valuable. The offer for Nawafil to be offered this night is manifold. According to one report that is commonly accepted among Muslims, it is advised that you should offer 12 Rakat of Nawafil. You can offer as 2,2 or 4,4. There are no hard and fast rules regarding this. Recite SUBHAN ALLAH 100 times, ASTAGHFIRULLAH RABI MIN QULI ZAMBI WA ATUBU ALLAH 100 times and DAROOD SHARIF 100 time as well. With this practice, you will get whatever you ask for from ALLAH this night. This shows that how beautiful the night is. ALLAH encourages His people to come close to him and He will reward them 100 times more than they expect. Night of Ascent when the Prophet Muhammad PBUH was sent to the Heavens and he met all the prophets of ALLAH has gained immense popularity. Muslims throughout the world wait for this night and celebrate it in the form of prayers. “The one who does Ibadat and Amal in the night of Miraj. He will be awarded by virtues equivalent to 100 Years”. 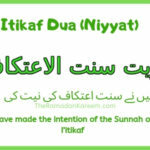 Whoever does 12 Rakat prayer in this night of Miraj & recite the Surah Fatihah in every Rakat. After every 2 Rakat recite Tashud and finish the Salat with Salam. After that recite: “Astagfirullah” 100 times & than recite any Durood Sharif 100 times. Now make Dua after performing all the process. Your all DUA will be accepted except that DUA which is made of sins. Recite “5th Kalma” 100 times. In the first Rakat, After “Surah Fatihah”, Recite “Surah Qadar” three Times. In the second Rakat, After “Surah Fatihah”, Recite “Surah Ikhlaas” three Times. In the third Rakat, After “Surah Fatihah”, Recite “Surah Falak” three Times. In the fourth Rakat, After “Surah Fatihah”, Recite “Surah Naas” three Times. After that recite “Darood Sharif” 100 times. 6 Rakat Nawafil: Recite “Suratul Fatiha” 1 time and “Suratul Ikhlas” 7 times in each Rakat after finishing recite “Darood” 50 times. 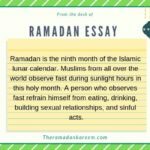 Like other prayers and Ibadat, the Muslims are also encouraged to keep fast the next day. Like, tonight the Shab e Miraj is being celebrated. 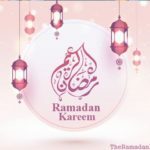 Muslims can fast the next whole day following the rules of Ramadan fasting. The reward of this just one fast is more than the whole month of Ramadan fasting. No other religion in the world encourages its followers this way. The Muslims are proud that their religion encourages them for the good deeds, sacrifice and taking care of the others. But this night has been dedicated to the prayers and offering. As Shab e Miraj approaches, the Muslims sends messages and SMS of respect and felicitations. They also share quotes from Quran and Hadith. Any other relevant quotes from scholar can also be shared. However, it should be noted this night has a status of the most respected and the most sacred nights for the Muslims. They leave everything, prepare for the night. Take baths, wear clean clothes, and attend prayers at mosques. Social media is also full of celebrations and prayers for the night. Shab-e-Miraj is a night of blessing when the Angels Celebrate Eid in the Jannat. Be the part of this night and say as many prayers as you can. Prophet Muhammad PBUH is the last prophet of ALLAH and there will be no Messenger for people from ALLAH after him. Prophet Muhammad PBUH was sent to the people of Arabia and he revolutionized the Arabian Peninsula. However, he faced some hardships. But ALLAH honored him with miracles. Shab e Miraj is also considered one of the miracles of Prophet Muhammad PBUH. The story of this night is quite interesting. Prophet Muhammad PBUH was booked to meet ALLAH, all the prophets, visit Heavens and see what other Muslims could just imagine about. ALLAH sent Buraq, the source of transport, and Prophet Muhammad PBUH reached Heavens. There he met with the angles, prophets and saw the power of Omnipresent ALLAH. When Prophet Muhammad PBUH returned, he shared the incident with his followers and they wholeheartedly accepted it. Not a single person defied what Prophet Muhammad PBUH told them. For Muslims, this night has become of immense respect and a time to rebuild their broken connections with ALLAH. In other words, the Muslims bow down before ALLAH, follow His orders, respect the importance of Shab e Miraj and strengthen their belief. 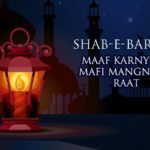 Read about Shab e Miraj's date, quotes, ibadat, nawafil, and fasting.